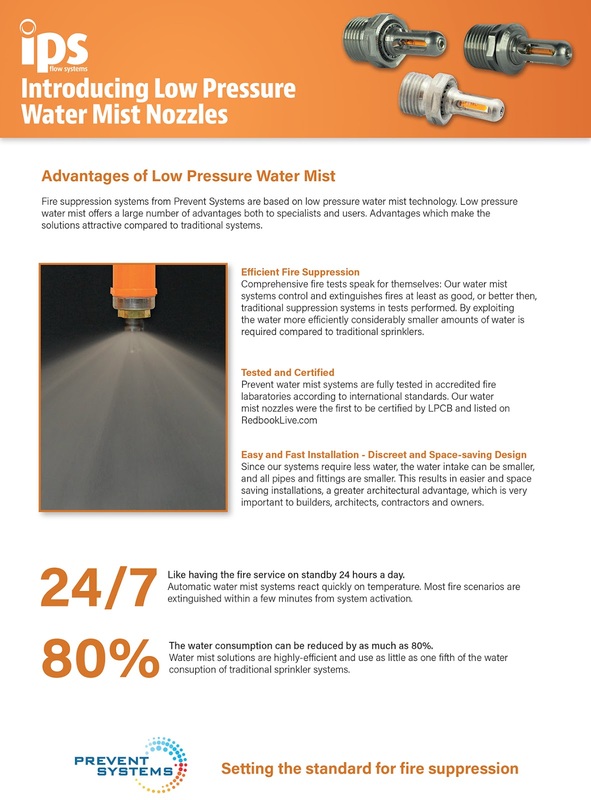 IPS Flow Systems are pleased to introduce a new range of low pressure water mist nozzles to complement our fire suppression products. Manufactured in Norway by Prevent Systems AS, automatic low pressure water mist nozzles are designed and tested for residential and domestic applications, as well as Ordinary Hazard classes OH-1, OH-2 and OH-3. 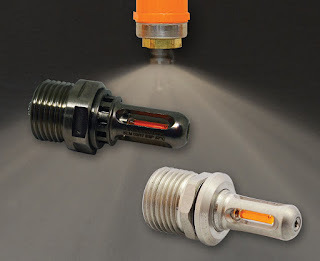 Our water mist nozzles were the first to be certified by LPCB and listed on Redbooklive.com They are fully tested in accredited fire laboratories according to the following standards: BS 8458, BS 8489, BS 9252, INSTA 900-3, IMO Res. 265(84) Public Space and CEN Parking Test Protocol V1. IPS Flow Systems have been supplying the UK fire protection market for over 20 years; we were the first to introduce CPVC pipe and fittings, demonstrating the cost benefits to installers and it is now used extensively throughout the industry. Our mist nozzles continue to demonstrate our commitment to provide quality solutions at competitive prices. We will be sending information out to all our customers and contacts in the coming weeks, if you can't wait (and we understand if you can't) please contact our sales office on 0191 5213111 or click the link below. IPS completed its recent recruitment campaign and welcomed Michael Potter to the company this week. 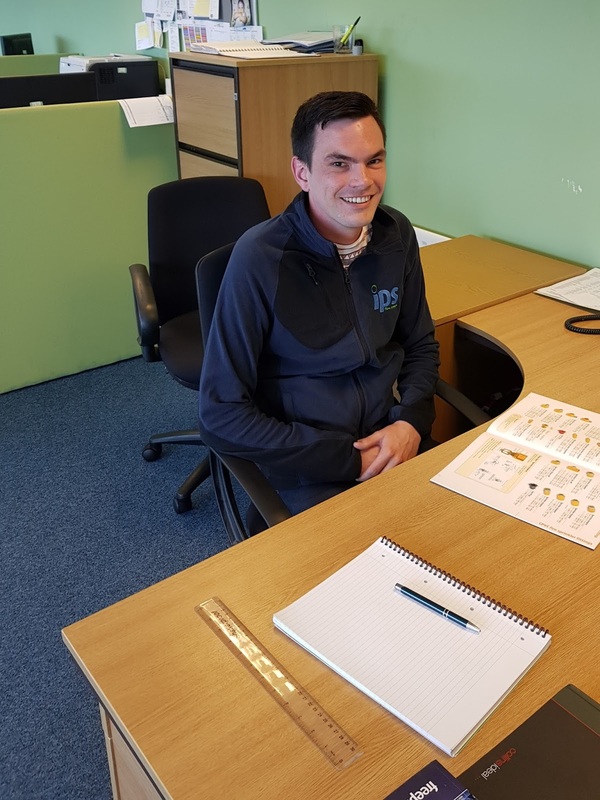 After graduating from Teesside University in 2013, Michael worked in the commercial water feature industry for four years before moving back to Newcastle earlier this month. Michael is a big football fan (wonder who?? ), as well as being a keen photographer in his spare time.